So my husband has this watch. It’s a nice watch. And my four-year-old saw the watch and decided that he too, must have a watch. So we decided that if he really wants a watch, he can earn the money for it. And to earn money, he can do chores. Our problem is that we didn’t have a good way to keep track of the jobs he’s completed or how much money he could earn from doing each job. And we don’t really have time to create an intricate chart like that right now. 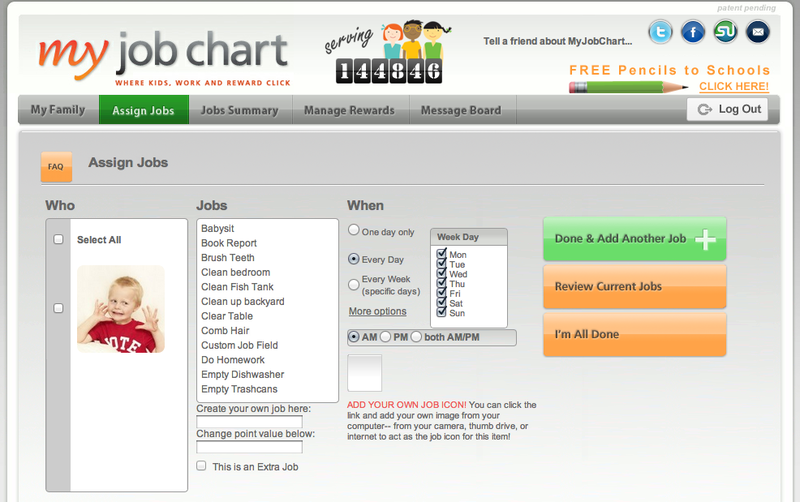 So I was excited when I started using this awesome site called Myjobchart.com! It’s really easy to use and an awesome way to keep track of everything. Plus, your older kids can track everything themselves so you don’t have to do any nagging! And when they want something, all you have to do is say “We’ll just make it a reward on your chore chart!” instead of getting into an argument with your child. 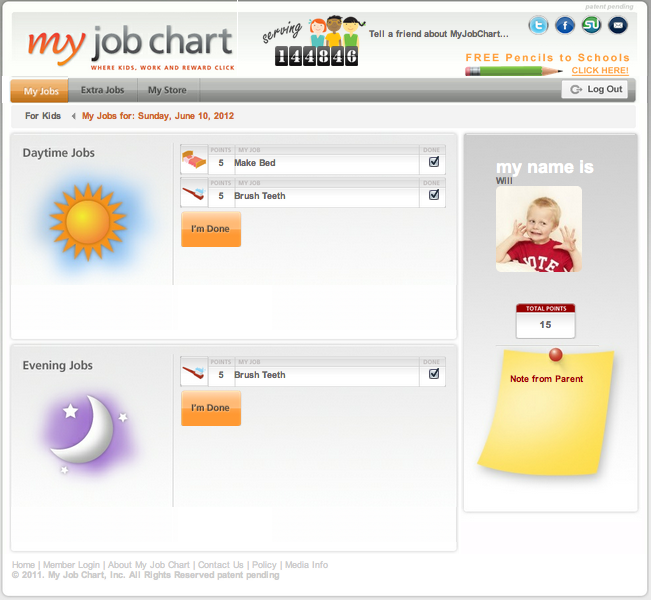 First you go to Myjobchart.com. Then you sign up for a free account. Then you can start adding in family members. 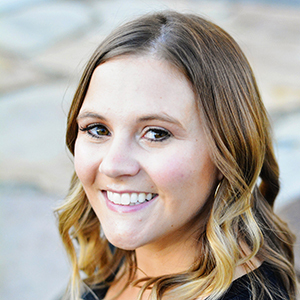 You can add another spouse to help you manage the account. Then you can start adding in jobs. Be sure to ‘select’ the child or children you want to do certain jobs. You can add in custom chores as well. You can also print out the chores so you can see them without needing the computer. 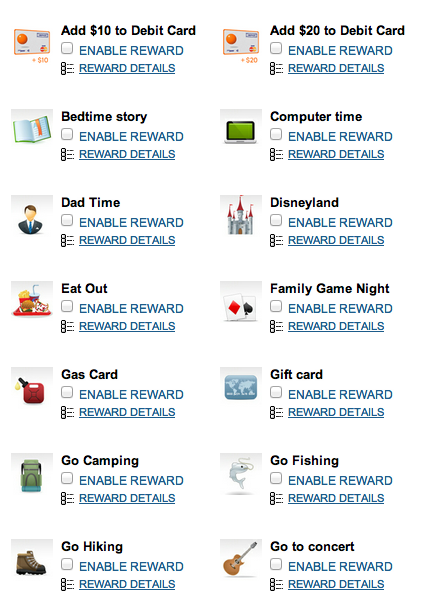 Under “Manage Rewards” you can start picking out rewards for your children to earn. These are categorized into three areas: save, share, and spend. “Save” is to start an ING online savings account–which is great! Teaches them to save some of their money. The ‘Share’ is to donate money to various charities or you could have it set aside for church tithing or something. The ‘Spend’ is for the rewards they get to keep, like a new toy. You can create custom rewards for this also, which is where I would create ‘New Watch.’ I also like that some of the rewards are things like ‘Dad Time’ and ‘Bedtime Story.’ Under ‘Retail Rewards’ you can search for items that are on Amazon and have them tied directly so you can purchase them right there. So easy! 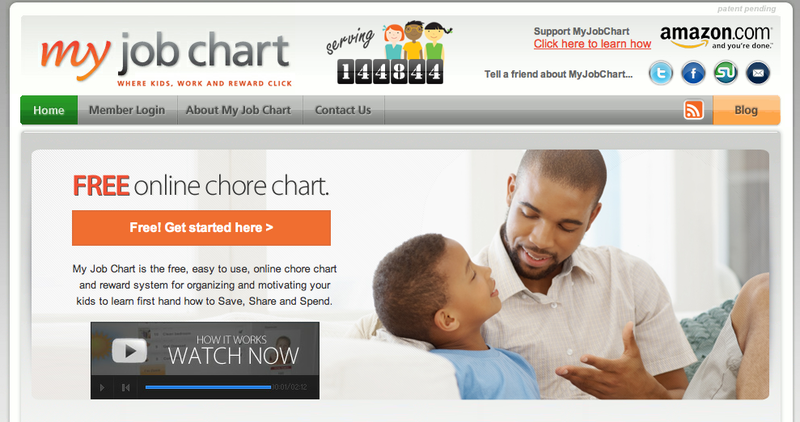 This is something that was a little confusing for me at first…how do you report the chores and the points? You have to logout of your parent account and then login under the child. This is where your older children can do their own chore reporting. For me, since Will is four, I will have to do it with him. We login under his name and then report the chores we’ve completed! Once you report, the child can also go and manage his points and choose how to use his points. It will send you an email (or a text message if you want) that they have claimed rewards so you can take the appropriate measures to get them their reward! I’m totally excited to show this to Will and get started. He is super motivated to do chores for rewards and I think that doing the tracking together will be a fun thing for both of us. 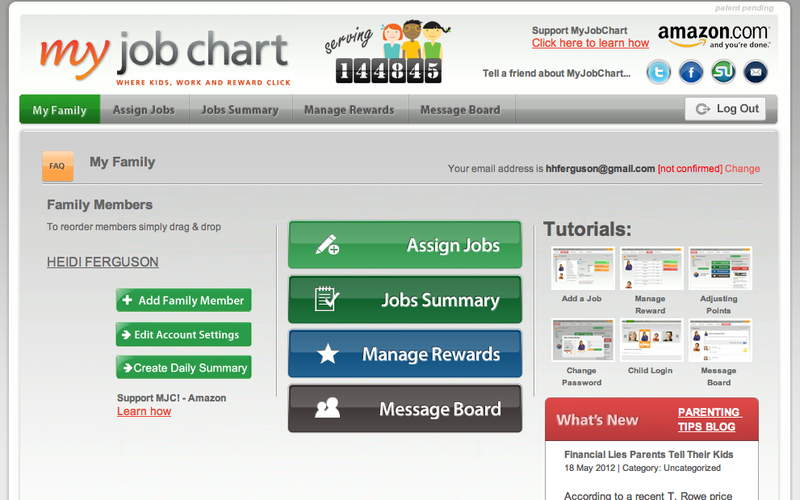 Definitely go sign up now for a Myjobchart.com account! Thank-you for sharing this!! Exactly what our family needs!! !